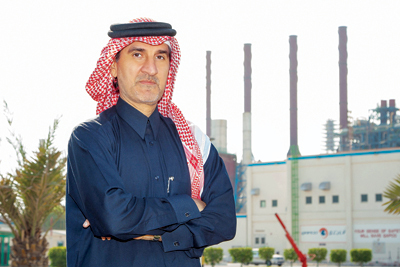 Machinery replacements, modernisations and a technology upgrade accomplished at Qatar Petrochemical Company (Qapco) earlier this year will translate into tangible performance improvements, the company’s vice chairman and CEO Dr Mohammed Yousef Al Mulla has said. 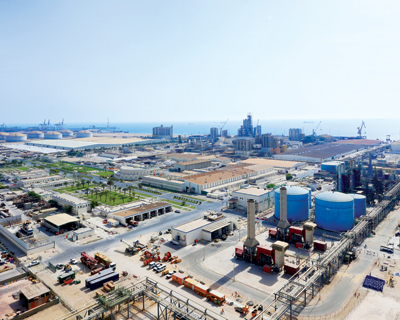 “Thanks to the successful completion of our planned general shutdown (GSD) at the beginning of 2014, we further improved our plants’ reliability, realised additional efficiency gains, improved our asset integrity and further optimised our environmental impact,” said Dr Al Mulla. “Our shutdown was certainly a historical milestone for us, as over 3,000 activities were scheduled and effectively executed under one integrated master plan. Nine hundred employees and more than 7,000 contractors participated in this unique project. At peak time, 7,790 people were present on site. The overall activities reached two million man-hours. “The replacement of some machinery, modernisations and technology upgrade will translate into tangible performance improvements. As such, we are laying the foundations for a promising operational future. Last year the company invested more than QR271 million ($74.3 million) into environmental impact projects including wastewater treatment, sulphur dioxide reduction and irrigation projects to meet rigorous environmental standards upheld by Qatar’s Ministry of Environment. Qapco awarded an EPC contract to CTCI Corporation in 2012 to replace the cracking furnaces and to build an ethylene storage tank, reaffirming the full compliance of Qapco with international environmental standards. “Our projects are strongly and certainly contributing towards our sustainability ambitions. Our investments in environmental management projects over the past three years have allowed us to reduce our flaring by 80 per cent, reduce our greenhouse gas emissions intensity by 20 per cent and reduce water consumption intensity by 17 per cent,” Dr Al Mulla pointed out. The upgrades during the latest shutdown followed the completion of the first full year in 2013 of the new low density polyethylene (LDPE)-3 plant, which uses the latest, most efficient technology and has contributed to an increase in Qapco’s total LDPE production of approximately 40 per cent and its highest ever polyethylene production. LDPE 3 has a total production capacity of 400,000 tonnes annually, raising Qapco’s global LDPE output to 700,000 tonnes per year. 2013 was a record-breaking year for the company on all fronts, led by the strong growth in LDPE production. Qapco also benefited from relatively high prices of the product, especially in Asia, as there was a significant reduction in supply with several LDPE producers undergoing shutdowns. Strong production supported by resilient LDPE prices resulted in a 15.6 per cent increase in revenues and a 6.6 per cent rise in profits. “At a time when several global petrochemical producers are suffering many setbacks, we are really proud to have achieved such a performance. The petrochemical industry is certainly entering a very strategic and critical phase and we are, more than ever, ready to face those global challenges,” Dr Al Mulla observed. Recently, Qatar established the Qatar Chemical and Petrochemical Marketing Distribution Company, Muntajat, to consolidate the marketing and distribution efforts of the state and strengthen the competitive advantage of the national petrochemical production, leveraging new scales and efficiencies. 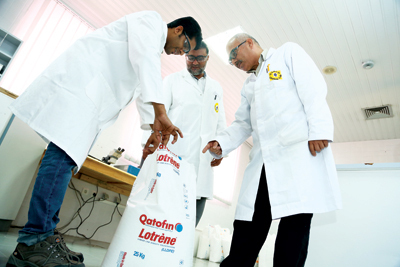 Since July 2013, Qapco’s Lotrène products have been marketed and sold exclusively through Muntajat and reach thousands of customers in 120 countries, intensifying economic returns for the state. It will also further increase the global market share of its products. Qapco holds a significant stake in Qatofin which was established in 2005. Shareholders in the joint venture are Qapco (63 per cent), Total Petrochemicals France (36 per cent) and Qatar Petroleum (1 per cent). 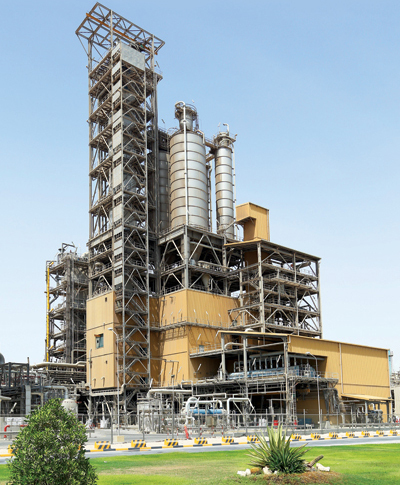 Qatofin, located in Mesaieed Industrial City, produces linear low-density polyethylene (LLDPE), mainly for export, and has a design capacity of 450,000 tonnes annually. 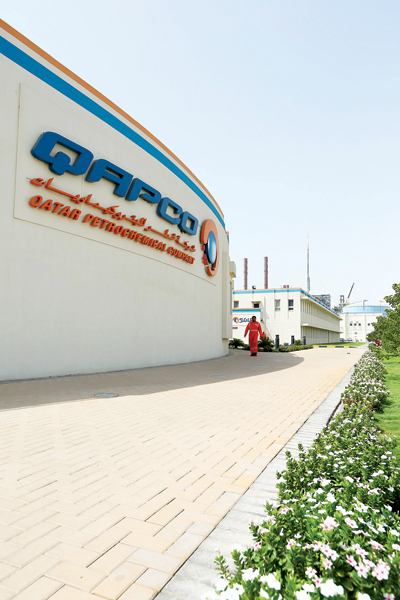 Qapco is the operator of the Qatofin LLDPE plant. LLDPE is usually used for plastic bags and sheets, plastic wrap, stretch wrap, toys, covers, lids, pipes, buckets and containers, cable coverings and flexible tubing, among other applications. The ethylene feedstock required for the LLDPE unit in Mesaieed is supplied from an ethylene cracker of 1.3 million tonnes per year in Ras Laffan Industrial City through a 133 km pipeline. This cracker is owned by Ras Laffan Olefins Company (RLOC), which is a joint venture between Qatofin (45.7 per cent), Q-Chem-II (53.3 per cent) and Qatar Petroleum (1 per cent). The RLOC cracker was established in 2005, at the same time as Qatofin, and is managed and operated by Q-Chem II. Qapco also holds stakes in Qatar Vinyl Company and Qatar Plastic Products Company. In a significant recent event, Materia Inc and Qapco forged a partnership through an MoU to further reinforce their collaborative R&D efforts and to study the development of the next generation of materials produced from Qatar’s existing feedstocks. Materia’s expertise and breakthrough catalyst technology combined with Qapco resources could potentially lead to the development of new products. Materia specialises in efficient feedstock utilisation and the extraction of specific petrochemical and chemical compounds thanks to its unique and innovative technology. “Together, we will explore the possibilities to further optimise the use of Qatar’s natural resources, by studying how to extract new products from Qapco’s current feedstock, with the aim to maximise the value related to Qapco’s existing processes,” commented Dr Al Mulla. “Sustainability-oriented research is part of Qapco’s commitment to improving both the impact of its processes, by focusing on the optimum use of feedstock, and of its products, by generating new applications. This partnership is very promising and paves the way to infinite possibilities while supporting the growth of Qatar’s knowledge-based economy. Collaborating with some of the world’s leading experts on research projects focusing on olefins, polymers and petrochemicals has the potential to add further value to our feedstock, which could be strongly beneficial for Qapco and ultimately for the hydrocarbon resources of the state,” he added.